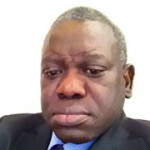 Mr Papa Léopold Sarr is a renowned Senegalese international development practitioner with over four decades of professional experience. He holds a doctoral degree (PhD) in Agronomy from University of Languedoc in France and diverse professional trainings on many thematic areas. Mr Sarr started his professional career as young researcher in the late 70s but his dexterity, passion and dedication to professionalism attracted the World Bank. He started working for the World Bank in early 90s as chief researcher focused on facilitating a triangular development relation involving producer’s organizations. He served in various roles including task and cluster team leader and senior adviser for many projects and initiatives until early 2014. Mr Sarr was appointed as Country Programme Manager at the International Fund for Agricultural Development (IFAD) from spring of 2004 until his retirement in summer of 2011. At IFAD, Mr Sarr led and managed many innovative and impactful pro-poor development projects in Africa particularly in Democratic Republic of Congo, The Gambia, Mali, Gabon and Central Africa Republic., Mr Sarr was assigned the additional responsibility of leading the mainstreaming of Farmers Organizations in IFAD. He has been widely accredited as a pioneer and instrumental in the globally recognized Farmers’ Forum as a single most important high level policy forum for farmers. Mr Sarr is highly committed to supporting and advocating for social justice, pro-poor development and growth and inclusive governance especially ensuring rural women and youth empowerment at all levels of decision making. From these professional experience coupled with extensive geographical knowledge, Mr Sarr will bring to the Board of GYIN a worth of knowledge, expertise, professionalism and commitment to act as an intergenerational bridge to serve future generations with proven and tested innovative pro-poor solutions that could sustainable the livelihood security of youth especially those in rural areas.